development in Anatolia. A new era in Turkish history, the 20th century can be considered the period in which the Turks most experienced western culture, and consequently, western music. The thinkers of the 19th century western enlightenment were the harbingers of an entirely different series of events in Turkey. Folk culture, which until that point had been relegated to the margins of society, came forward, and folk music research and collection projects gained momentum. While on one hand education was being given in contemporary western music, musicians collecting songs from Anatolia also became the pioneers of a brand new movement. During the course of this work, approximately 20,000 songs and melodies were collected, and many works were produced which dealt with instruments, genres and forms. As Turkish music blended with modern western civilization, folk melodies gained an important mission. 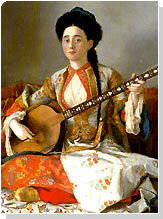 Today, folk music is the largest and most fascinating branch of the Turkish commercial music sector. Along with this, education in contemporary Turkish music is given in conservatories and other institutes of higher education. Besides being a new political regime, the Republic is also a modernization project. Orchestras, opera and ballet companies, choruses, the developing music sector and up-and-coming composers are bringing about the meeting of Turkish musical culture with the modern world. Today, modern works on musicology and publishing activities are some of the most important musical works being carried out in Turkey.